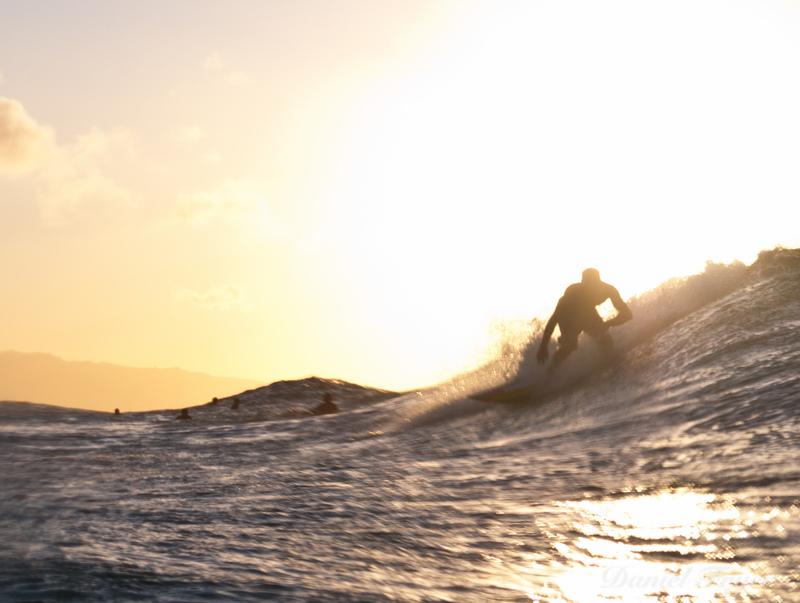 Ok, if you haven’t been following me or new to my site, this was my effort to cover this winters surfing season in Hawaii. I had never taken a professional water angle shot before in my life and had no clue what I was getting myself into. I’m the first to admit I was way over my head, but it didn’t stop me from going for it. This is the start of my re-edit of my photos from this winter. After reviewing my photos I’m amazed how far I came in 3 months. It just goes to show if you put your heart into something and tell yourself failure isn’t an option you can accomplish your dreams. These are my photos from the first 3 days with my water-housing (november 9,10,11). It’s not as easy as point and shoot haha. I must have taken 5000 photos into the sun before I figured it out. Here is my first attempt. I’m sorry you have to look at such crappy photos but it’s important to me for you to realize how far I came. 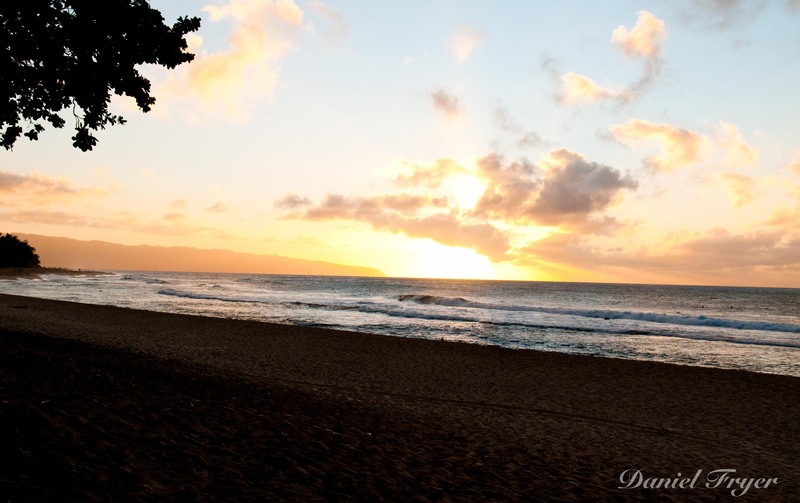 Here is a picture of my first sunset on the North Shore, (notice the lack of people and all the sand that was on the beach during the beginning of the season). 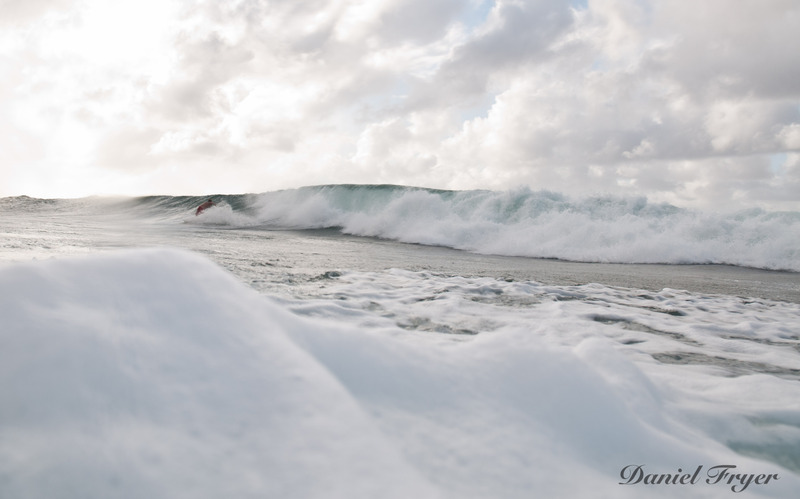 This entry was posted on February 16, 2012 by the surfing photog. 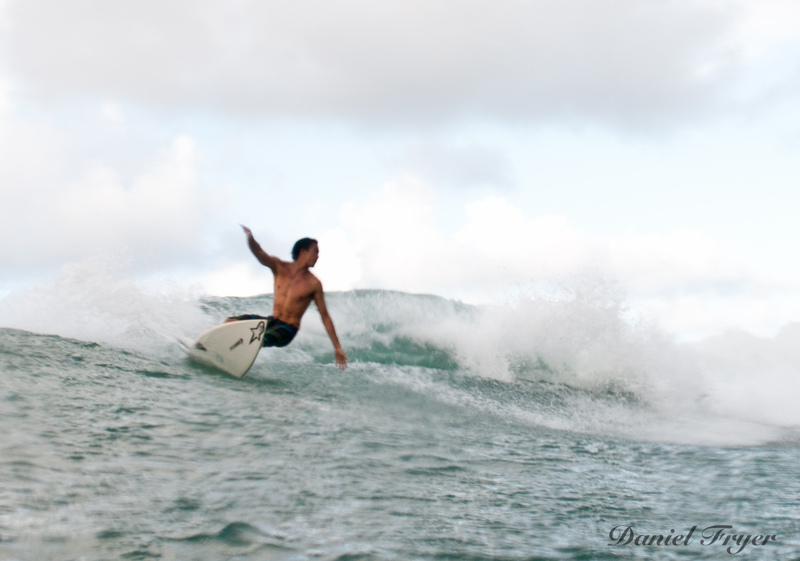 It was filed under Business, Exploration, fun, hawaii, North Shore, Photography, Rocky Point, SURF, surfing, Water Angles .